RockRidge Resort Breckenridge Colorado provides comfortable, well-furnished 3 bedroom 3 bath units that measure a huge 2000 square feet. The condo sleeps 8 adults, with queen-sized beds in two of the bedrooms, 2 twin beds in the 3rd bedroom, and a queen-sized sofa sleeper in the living room. We own Unit 41, which is an end unit (on the right side of the photo). 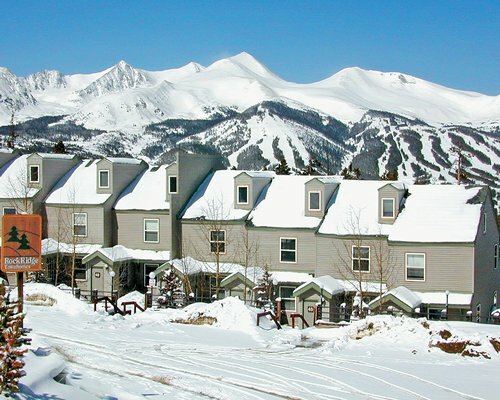 Please click here to see current availability, prices, payment options, photos and other information regarding RockRidge Resort Breckenridge Colorado condo vacation rentals.